After you’ve been properly trained and prepared for NCCCO written exams you will have two choices for taking the exam. Paper, pencil, and Scantron bubbles (who remembers drawing patterns to fill in the A, B, C and D bubbles?) are the kinds of things you associate with classroom testing. But if you are seeking operational certification to advance your career in construction, manufacturing, or warehousing, you also have the option to take the exam in front of a computer at a certified testing center. This is called computer-based testing, or CBT. It’s important to note: Although CBT exams are electronic in format, they are not “online” (i.e., you ca’t take the test on your laptop at home). You will have to go to an approved testing facility. However, there are significant benefits to CBT exams. 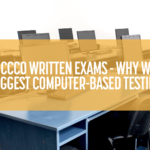 Read on as we make our case for CBT for all NCCCO written exams. The primary goal of taking this test is to pass and become an NCCCO card-carrying member in your trade. 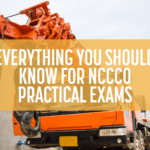 The most important element of passing these exams is to make sure that you’re informed on the NCCCO information before you even sit down to take the test. At Train for the Crane, we make sure that anyone who goes through our crane training is fully prepared with all the knowledge needed to pass the exam. CBT has a few advantages over written exams, including quicker scheduling and same-day results. There’s not enough data about CBT vs taking written exams to make a claim that one is better than the other for getting passing results. We can tell you that our trainees are more successful in taking the CBT test over the written. There are a couple of reasons for this, which we discuss below. Most of our competitors offer to test on-site, at the end of the training session. After having so much information thrown at you over the course of a week it becomes harder to retain all of the necessary pieces to pass the exam. For this reason alone, CBT is the route to go. Our team typically schedules trainees for CBT tests, at certified testing sites, within two weeks of their training session. This gives trainees up to two weeks to continue familiarizing themselves with the materials. This commitment to studying materials is something we’ve touched on before, and studying is the number one way to get yourself a passing score. Whether they want to be riggers or crane inspectors, most all of our trainees feel anxiety about their upcoming tests. Test anxiety is a real thing, and nothing amplifies this anxiety more than a proctor of an exam walking around the room to make sure that none of the test-takers are cheating in any way. Not only does the presence of a proctor over your shoulder cause anxiety, it becomes something that can get into your psyche and throw you off for your exam. The last thing a test-taker needs during their exam is more stressors. You can avoid the high-pressure situation by taking your NCCCO exam on a computer. In closing, we continue to remind both potential trainees and business owners that knowing the material is as important as anything, but setting yourself up for success in other areas is just as important. Taking your NCCCO certification exam on the computer can help ensure that test-takers remain in the right frame of mind when it comes time to take their tests, leading to higher pass rates, more NCCCO certified workers, and safer lifts throughout the industry. 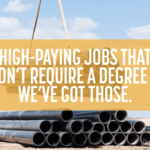 Need more information about a career in construction and crane operation? 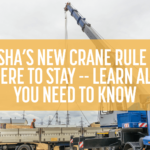 Take a few minutes to read our posts on How To Get Crane Operator Certification and How To Create A Critical Lift Plan.